Neck and Décolleté Cream has a wonderfully invigorating floral fragrance. It corrects the first signs of skin creasing, smoothes and nourishes the skin. 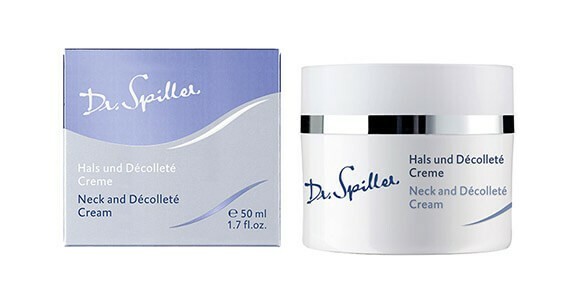 Neck and Décolleté Cream corrects the first signs of skin creasing. With kigelia africana as an active ingredient, it is the perfect product to stop wrinkles from deepening. It firms the skin tissue, smoothes wrinkles and enhances resilience. With its floral, invigorating fragrance, the cream is a favorite choice to firm the skin and prevent wrinkles. Apply to neck and décolleté morning and evening.